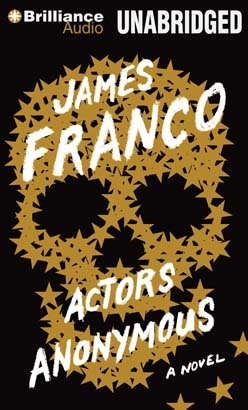 The actors in James Franco’s brilliant debut novel include a McDonald’s drive-thru operator who spends his shift trying on accents; an ex–child star recalling a massive beachside bacchanal; hospital volunteers and Midwestern transplants; a vampire-flick starlet who discovers a cryptic book written by a famous actor gone AWOL; and the ghost of River Phoenix. Then there’s Franco himself, who prowls backstage, peering out between the lines — before taking the stage with fascinating meditations on his art, along with nightmarish tales of excess. “Hollywood has always been a private club,” he writes. “I open the gates. I say welcome. I say, Look inside.” Told in a variety of styles — from lyric essays and disarming testimonials to hilariously rambling text messages and ghostly footnotes — and loosely modeled on Alcoholics Anonymous’s Twelve Steps and Twelve Traditions, Actors Anonymous is an intense, wild ride into the dark heart of celebrity. This book was alluring and oddly relatable. It may or may not hypnotize you. A great listen.